Not long after the discovery of the 1832 account of the First Vision, an 1835 account came to light as well. This document was discovered by a member of the staff at the Church Historian’s office in the back of the Manuscript History, covering a journal entry for November 9th, 1835. Curiously, though much of the entry for that day and the particular event were included in the main portion of the history—and ultimately in the printed History of the Church—the section about the First Vision was omitted and placed in the back of the volume, up-side-down. This seems to indicate that the document was part of a journal that was used to create the Manuscript History, but was not intended to be used in the finished history (Allen The Significance 35-36). 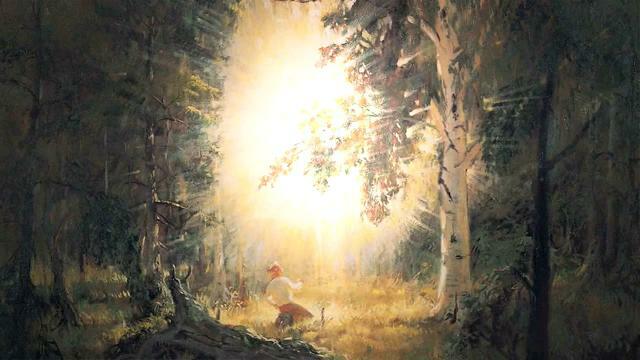 Joseph Smith’s First Vision in the Restoration video. Monday Nov. 9th…. While sitting in his house this morning between the hours of ten an eleven a man came in and introduced himself to him calling himself Joshua the Jewish Minister. His appearance was something singular, having a beard about three inches in length which is quite grey, his hair was also long and considerably silvered with age. He had the appearance of a man about 50 or 55 years old. He was tall and straight, slender frame, blue eyes, thin visage, and fair complexion. He wore a green frock coat and pantaloons of the same color. He had on a black fur hat with a narrow brim. When speaking he frequently shuts his eyes and exhibits a kind of scowl upon his countenance. He (Joseph) made some inquiry after his name, but received no definite answer. The conversation soon turned upon the subject of Religion, and after the subject of this narrative had made some remarks concerning the bible, he commenced giving him a relation of the circumstances, connected with the coming forth of the Book of Mormon, which were nearly as follows. Being wrought up in my mind respecting the subject of Religion, and looking at the different systems taught the children of men, I knew not who was right or who was wrong, but considered it of the first importance to me that I should be right, in matters of so much moment, matter involving eternal consequences. Being thus perplexed in mind I retired to the silent grove and there bowed down before the Lord, under a realizing sense (if the bible be true) ask and you shall receive, knock and it shall be opened, seek and you shall find, and again, if any man lack wisdom, let of God who giveth to all men liberally & upbraideth not. Information was what I most desired at this time, and with a fixed determination to obtain it, I called on the Lord for the first time in the place above stated, or in other words, I made a fruitless attempt to pray My tongue seemed to be swoolen in my mouth, so that I could not utter, I heard a noise behind me like some one walking towards me. I strove again to pray, but could not; the noise of walking seemed to draw nearer, I sprang upon my feet and looked round, but saw no person or thing that was calculated to produce the noise of walking. I kneeled again, my mouth was opened and my tongue loosed; I called on the Lord in mighty prayer. A pillar of fire appeared above my head; which presently rested down upon me, and filled me with un-speakable joy. A personage appeared in the midst of this pillar of flame, which was spread all around and yet nothing consumed. Another personage soon appeared like unto the first: he said unto me thy sins are forgiven thee. He testified also unto me that Jesus Christ is the son of God. I saw many angels in this vision. I was about 14 years old when I received this first communication (Jessee 5-6). A brief relation of his experience while in his youthful days, say from the age of six years up to the time he received the first visitation of Angels which was when he was about 14 years old. He also gave him an account of the revelation he afterward received concerning the coming forth of the Book of Mormon…” (Jessee 6). These two accounts (the second being so brief that it is often not considered a proper account of the Vision) are important in helping us understand the First Vision as well as how Joseph spoke of it. We learn that by 1835, Joseph was willing to speak of the experience when he was asked about it. We also see a sort of transition occurring in the way he narrated the event, as it is stylistically somewhere between the 1832 born-again account and the 1838 official history. Instead of florid vocabulary of the 1832 account, this retelling has spare, confident prose aimed at his concern with the “different systems” of religion in the world, much the 1838 account. This account, however, lacks the focus of the official 1838 account, since it ends with the message of forgiveness instead of the problem of corrupt religions (see Lambert and Cracroft 37). Thus, it serves as a bridge between how Joseph spoke of his experience in 1832 and 1838. The reports vary in the details of the demonic attack on Joseph immediately before the vision occurred. Emerging for the first time in the 1835 account is the demonic struggle that plays a central role in the 1838 account. There are several interesting details found here, such as the sound of someone walking and a description of how it felt to have his tongue bound. Yet, there are difficulties which emerge in comparing every account of the attack. As Richard P. Howard—an RLDS historian—observed, “This [the demonic attack] is one of the most varied and problematic aspects of the First Vision, for we have extremes form the sheer terror of Joseph on the brink of total destruction as he struggles to pray to the total lack of a reference to such an experience” (An Analysis 110). The silences in some accounts are not as difficult to reconcile as the descriptions of the event that are given—silence is more an indicator of lack of focus on that aspect of the event than ignorance. LDS missionaries today are even encouraged to exclude the demonic attack when recounting the First Vision to keep the focus on the message and magnitude of the event. I was seized upon by some power which entirely overcame me, and had such an astonishing influence over me as to bind my tongue so that I could not speak. Thick darkness gathered around me, and it seemed to me for a time as if I were doomed to sudden destruction…—not to an imaginary ruin, but to the power of some actual being from the unseen world, who had such marvelous power as I had never before felt in any being (JS-H 1:15-16). In that account, we get a sense of mortal peril, even though he only specifically mentions being unable to speak and thick darkness gathering around him. At first, he was severely tempted by the powers of darkness, which endeavoured to overcome him. The adversary benighted his mind with doubts, and brought to his soul all kinds of improper pictures and tried to hinder him in his efforts and the accomplishment of his goal. However, the overflowing mercy of God came to buoy him up, and gave new impulse and momentum to his dwindling strength. Soon the dark clouds disappeared, and light and peace filled his troubled heart. And again he called upon the Lord with renewed faith and spiritual strength (Cheesman 159). Here we see the internal struggle again—this time with distracting thoughts and doubts—and the “dark clouds” are in his heart more than his surroundings. Finally, Alexander Neibaur described the event as follows: “Went into the Wood to pray, kneels himself Down, his tongue was closet cleaveh to his roof—could utter not a word, felt easier after awhile” (Allen Eight 12). All other accounts are silent on the subject. The description of how “felt easier after awhile” and how he “called upon the Lord with renewed faith and spiritual strength” after being delivered from the darkness may also seem to contradict the 1838 account at first glance, since Joseph reports there that he was delivered from this enemy immediately after he saw the pillar of light (see JS-H 1:17) and then goes right into describing the vision itself, with no mention of praying in-between. A closer examination, however, leaves room for Joseph to pray. In most of the accounts, Joseph reports that the light “descended gradually” (JS-H 1:16) in one way or another. In looking at all the accounts, it seems that it was indeed a gradual descent, which would have left time for him to pray between the appearance of the pillar and the opening of the vision itself. In fact, Orson Pratt records that after Joseph “saw a very bright and glorious light in the heavens above” he did indeed “continued praying, while the light appeared to be gradually descending towards him.” Further, Pratt added that it was only “when it [the pillar] came upon him” that “his mind was caught away… and he was enwrapped in a heavenly vision” (Cheesman 115). If—as the Prophet described in 1838—he was delivered as soon as the light appeared, that would explain how he “felt easier” and the “darkness gave way” allowing him to complete his prayer while the light continued to descend slowly towards him prior to the vision. The view the present author gains from the combined accounts is that the struggle with the powers of darkness wasn’t a mortal struggle with Satan, but rather, when Joseph went to the grove, he was assaulted by the Devil internally by distracted thoughts and mental darkness and that he was somehow unable to talk, though whether physical paralysis or internal pressure caused the muteness is unclear. When the pillar of light or fire appeared above him, the assault ended and Joseph was freed to finish his prayer, which he did while the pillar descended towards him, and the vision opened after the light came down upon him. Some critics have pointed out that the Prophet spoke of the visit of angles in connection with the first vision. Some have theorized that he began by asserting that he saw an angel and ended by embellishing it with the claim that he saw the Father and the Son. 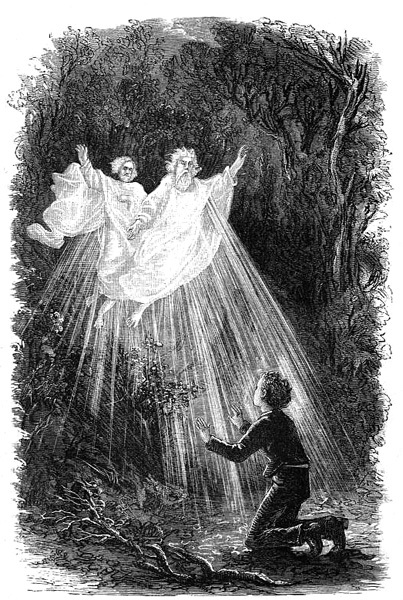 The truth is that, having described all that we are familiar with about the visitation of the Father and the Son, he says in the closing words of the 1835 account, “I saw many angels in this vision.” It is an enforced either-or to saw that he either saw the Father and the Son or saw angels. What he saw was both (13-14). The concern that Madsen is addressing is one that arises from several other places. Looking at the second, brief account above, Joseph refers to the First Vision as “the first visitation of Angels,” and many of the apostles would refer to the First Vision in similar terms over the years. For example, George A. Smith taught in 1863 that, “When Joseph Smith was about fourteen or fifteen years old,… he went humbly before the Lord and inquired of Him, and the Lord answered his prayer, and revealed to Joseph, by the ministration of angels, the true condition of the religious world. When the holy angel appeared, Joseph inquired which of all these denominations was right…” (JD 12:333-334). Orson Pratt said in 1869 that “an obscure individual, a young man, rose up, and in the midst of all Christendom, proclaimed the startling news that God had sent an angel to him;… This young man, some four years afterwards, was visited again by a holy angel” (JD 13:65-66). William Smith—the Prophet’s brother and a leader in the RLDS community—wrote a memoir wherein he seems to have combined the First Vision with the visit from Moroni, speaking of one angel appearing in the grove and telling him the message of the Churches being wrong, and then jumps to Joseph telling the family the story, as he did with the Moroni experience (see Cheesman 170-171). Further, in most accounts, Joseph refers to the visitors as “Personages”, identifying Christ as one of them in two of the four accounts directly written by himself (the 1832 and the 1838 accounts) and God the Father is only identified the second of those two—the 1838 account. Of the five contemporary accounts, only the David Nye White and Alexander Neibaur accounts (both recorded after the 1838 account was published) identify the Personages. The accounts have left room for confusion over how many personages Joseph was visited by in the vision as well as their nature. The interesting thing is that most of the apostles cited above referred to the visitors as God and Christ in different moments—often citing the 1838 account. For example, Orson Pratt said in 1880 that “in the spring of 1820, before Joseph Smith was of the age of fifteen….in answer to his prayers, there was the manifestation of two of the great personages in the heavens—not angels, not messengers, but two persons that hold the keys of authority over all the creations of the universe. Who were they? God the Eternal Father and his Son Jesus Christ” (JD 21:208). All of this has led to some to state that there was some confusion over who appeared to Joseph in 1820. Why would apostles and even Joseph himself refer to the personages in the vision as angels when they identified them as God the Father and Jesus Christ? Apparently, in his discussions with some nonmembers, the Prophet hesitated to identify the personages who had appeared to him. 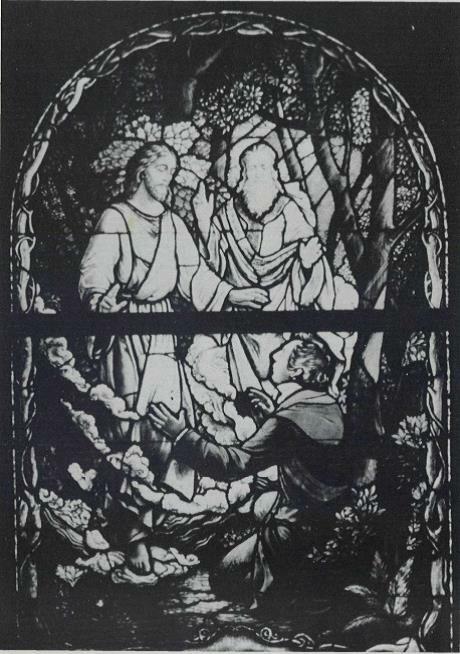 Following his sacred experience of 1820 the young prophet was persecuted for telling others that he had seen a vision and was visited by two glorious personages. Recognizing that many would not accept nor appreciate this sacred experience, Joseph Smith was cautious about that which he related to others. Summaries of this event addressed to nonmembers and related before and after the Prophet had identified the personages do not always mention that the Father or the Son appeared. Moreover, a similar pattern of expression is found in the Old Testament where God and Angel are used interchangeably. (See Gen. 48:15–16.) In this vein, the Prophet taught others that the resurrected Christ was an angel. One kind of being in heaven, he said, is an angel or personage who is resurrected with a body of flesh and bones. Early Latter-day Saint leaders who knew that Christ had instructed Joseph during his vision of 1820 sometimes declared that an angel told Joseph Smith not to join any of the churches. In their sermons, these same leaders used the term Lord to identify the Father and Son and used the words Lord, Christ, personage, messenger, and angel interchangeably (Backman). Thus, during the 1800s, it seems that there wasn’t the same line of demarcation between the use of the word angel and the persons we associate as God or Christ that there is today. Angel was used as a general term for a heavenly visitor, even if that visitor was the Lord himself. Also, at times it was simply easier to refer to the celestial beings who visited Joseph in the grove as angels or personages rather than identifying them as Jesus Christ and God the Father to make the account more palatable to mainstream Christians. Further, according to the 1835 account, there were angels in addition to God the Father and Jesus Christ present during the First Vision. That being said, it would be understandable for Joseph and his successors to refer to the event as the ministration of angels or that angels delivered the message of the First Vision to him. 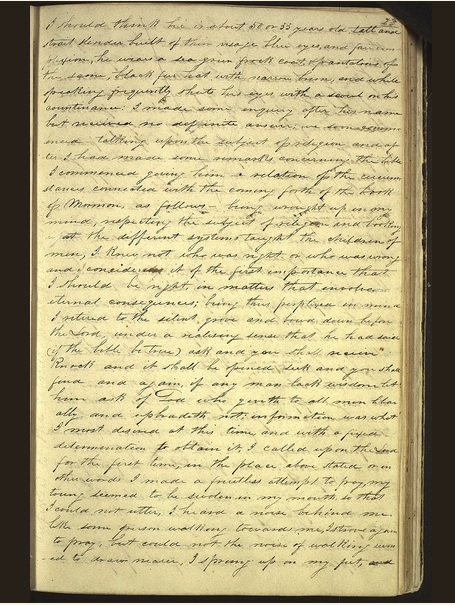 Another interesting note from the 1835 account is that the First Vision was told as a part of “a relation of the circumstances, connected with the coming forth of the Book of Mormon.” Today, the significance of the First Vision has overshadowed the visits of Moroni and the translation of the Book of Mormon as the founding story of Mormonism. In the time of Joseph Smith—and indeed up to about the 1800s—it seems that the opposite was true. There is little if any evidence, however, that by the early 1830’s Joseph Smith was telling the story in public. At least if he were telling it, no one seemed to consider it important enough to have recorded it at the time, and no one was criticizing him for it. Not even in his own history did Joseph Smith mention being criticized in this period for telling the story of the first vision. The interest, rather, was in the Book of Mormon and the various angelic visitations connected with its origin (Significance 30-31). No 1830s publications mentioned the subject in detail. The closest references we get are brief mentions in two 1830 and 1831 revelations that are now part of the Doctrine and Covenants of an event where Joseph “received a remission of his sins” (D&C 20:5) and a time where the Lord “called upon my servant Joseph Smith, Jun., and spake unto him from heaven” (D&C 1:17), but the specifics are not mentioned. Although we know that Joseph spoke of the event in private and made a few private records of the vision, the first published account was Orson Pratt’s Several Remarkable Visions published in 1840, and Joseph Smith’s 1838 and 1842 accounts—both published in 1842 in the Nauvoo publication the Times and Seasons for the first time. As far as Mormon literature is concerned, there was apparently no reference to Joseph Smith’s first vision in any published material in the 1830’s. No non-Mormon publications spoke of the subject until after accounts had been published in the Times and Seasons in Nauvoo, the New York Spectator, and in Daniel Rupp’s An Original History of the Religious Denominations at Present Existing in the United States during the years 1842-44. During the 1830s, the public image of the Mormons centered on such things as the Book of Mormon, missionary zeal, and the concept of Zion in Missouri (see Allen Significance 31-32). It would make sense that if the First Vision was not being attacked by non-Mormons, it probably wasn’t a focus for the Mormons either. This event, after all, was depicted from the beginning as fulfilling the prophecy in Revelation 14:6, where John declared: “And I saw another angel fly in the midst of heaven, having the everlasting gospel to preach unto them that dwell on the earth.”… Since much, if not most, of this early doctrinal material was published in works intended for non-Mormon consumption, it may be that the emphasis continued to be placed on the angel and the Book of Mormon because that fulfilled biblical prophecy, while the First Vision took a back seat in the literature only because it did not fulfill the prophecy. There were exceptions, but they were in literature designed more specifically for the Saints. In 1849 Orson Pratt referred briefly to the vision in a Millennial Star article to demonstrate that the Father and the Son were two distinct persons — the first such doctrinal use we have discovered so far (Emergence 52). The visit of Moroni and the translation of the Book of Mormon seem to have overshadowed the First Vision in Mormon thought for a long time. Another reason for the focus on the Book of Mormon is that the First Vision wasn’t as far removed from the experiences of contemporary Americans with visions and born again accounts. The production of the Book of Mormon as a new volume of scripture, however, was something quite different from the mainstream. As historian Richard Lyman Bushman noted, “If Joseph initially understood the First Vision as his conversion, similar to thousands of other evangelical conversions, this vision [of Moroni] wrenched Joseph out of any ordinary track” (44). Finally, the Book of Mormon was far more tangible than a vision. A missionary could hand a copy of the Book of Mormon to a potential convert, talk about it, and give them a chance to investigate for themselves much easier than they could talk about a vision they rarely heard of themselves. We begin to see an emergence of the First Vision during the 1840s. Five accounts were published of the vision between 1840 and Joseph’s death in 1844—missionary tracts by Orson Pratt and Orson Hyde, the history of the Church and the Wentworth letter by Joseph Smith, and a newspaper article in the New York Spectator. After Joseph’s death, John Taylor and Lorenzo Snow also published paraphrases of the First Vision in their own missionary tracts in France and Italy. Many of these various accounts were republished, most notably Joseph Smith’s official history account in Willard Richard’s Pearl of Great Price—a booklet published in England to make some important revelations and writings more available to the Church abroad. Discussion of the First Vision occurred from time to time, with Orson Pratt and John Taylor referring to the event the most. More often than not—with one notable exception—the First Vision was used to affirm Joseph’s prophetic call rather than to teach doctrine. In the 1880s appeared a second generation of church writers and theologians…. These people, moreover, were going through a period of intensive religious crisis, as new federal laws stepped up anti-polygamy prosecution and seemed to challenge the very existence of the church. The time was readymade for the outpouring of a new identity with the founding prophet — new reminders to the Saints of what their heritage really was, and of what Joseph Smith’s testimony really meant to them personally. The First Vision was a natural tool for such a purpose, and a new generation of writers could hardly fail to use it (Emergence 53). 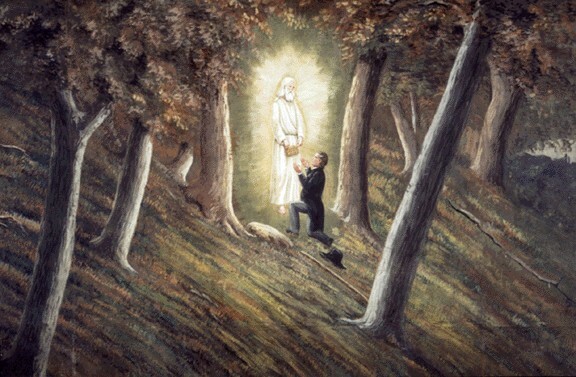 As they began to use Joseph Smith’s first religious experience for various instructional purposes, Mormon teachers and writers were also creating certain secondary but highly significant historical perceptions in the minds of the Latter-day Saints. There was no intent to distort or mislead, but what happened was only one example of a very natural intellectual process that helps explain the emergence of at least some basic community perceptions. It seems to be a truism that whenever great events take place, second and third generation expounders tend to build a kind of mythology around them by presuming corollary historical interpretations that often have little basis in fact…. [This] created an atmosphere in which other historical inferences easily could be drawn. These included the ideas that (1) over the centuries considerable “rubbish concerning religion” had accumulated that only revelation could correct; (2) most, if not all, Christians believed in the traditional trinitarian concept of God; (3) the Christian world denied the concept of continuing revelation; (4) Joseph Smith told the story of his vision widely, and (5) he continued to be persecuted or publicly ridiculed for it, even to the time of his death. Such historical interpretation, much of it misleading, soon dominated popular Mormon thought. The challenge for individual believers, including Mormon historians, would be to separate the essential truths of the vision experience from corollaries that may not be so essential to the faith (Emergence 57-58). Whatever the case of historic inaccuracies, the First Vision was becoming a fundamental part of the faith of Latter-day Saints. By 1920, the centennial anniversary of the vision, the theophany was memorialized in music, verse, dramatic representations, and articles in the Church’s official publication. In 1938, President J. Reuben Clark, Jr. of the First Presidency told religious educators that the second of two essentials in Mormon belief was “that the Father and the Son actually and in truth and very deed appeared to the Prophet Joseph in a vision in the woods,” and, according to President Clark, “no teacher who does not have a real testimony… of the divine mission of Joseph Smith—including in all its reality the First Vision—has any place in the Church school system” (cited in Allen Emergence 57). By 1978, one general authority stated that “the First Vision is the very foundation of this Church, and it is my conviction that each member of this Church performs his duty in direct relation to his personal testimony and faith in the First Vision” (cited in Allen Emergence 57)—a thought echoed by President Gordon B. Hinckley on many occasions. Today, the Vision is held by Latter-day Saints as a cornerstone of their faith—essential to belief in the Church as a whole. Allen, James B. “Eight Contemporary Accounts of Joseph Smiths First Vision—What Do We Learn from Them?” Improvement Era (April 1970), pp. 4-13. — “Emergence of a Fundamental: The Expanding Role of Joseph Smith’s First Vision in Mormon Religious Thought.” Journal of Mormon History, Vol. 7 (1980) 43-61. — “The Significance of Joseph Smith’s ‘First Vision’ in Mormon Thought.” Dialogue: A Journal of Mormon Thought, Vol. 1, No 3 (Autumn 1966), 29-45. Backman, Milton V., Jr. “Joseph Smith’s Recitals of the First Vision.” Ensign Jan 1985. Web. 15 May 2013. Bushman, Richard Lyman. Joseph Smith: Rough Stone Rolling. New York: Vintage Books, 2007. Cheesman, Paul. 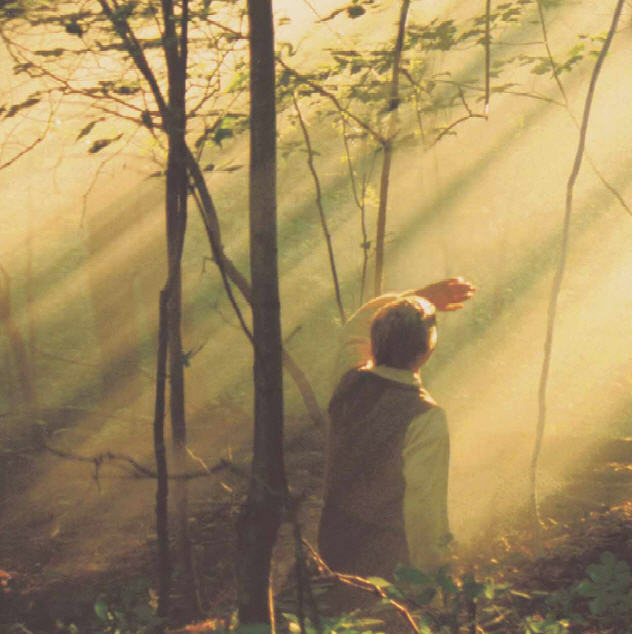 An Analysis of the Accounts Relating Joseph Smith’s Early Visions. MA thesis. Brigham Young University, 1965. Web. 20 May 2013. Howard, Richard P. “An Analysis of Six Contemporary Accounts Touching Joseph Smith’s First Vision.” Restoration Studies I, 95-117. Independence, Missouri: Herald Publishing House, 1980. — “Joseph Smith’s First Vision: The RLDS Tradition.” Journal of Mormon History Vol. 7 (1980) 23-29. Lambert, Neal E. and Richard H. Cacroft. “Literary Form and Historical Understanding: Joseph Smith’s First Vision.” Journal of Mormon History Vol. 7 (1980): 31-42. Madsen, Truman G. Joseph Smith the Prophet. Salt Lake City: Bookcraft, 1989. That exception was an article by Orson Pratt establishing the nature of God during the 1850s. This entry was posted in Joseph Smith, Modern Church History. Bookmark the permalink.